They came, saw, danced and left. 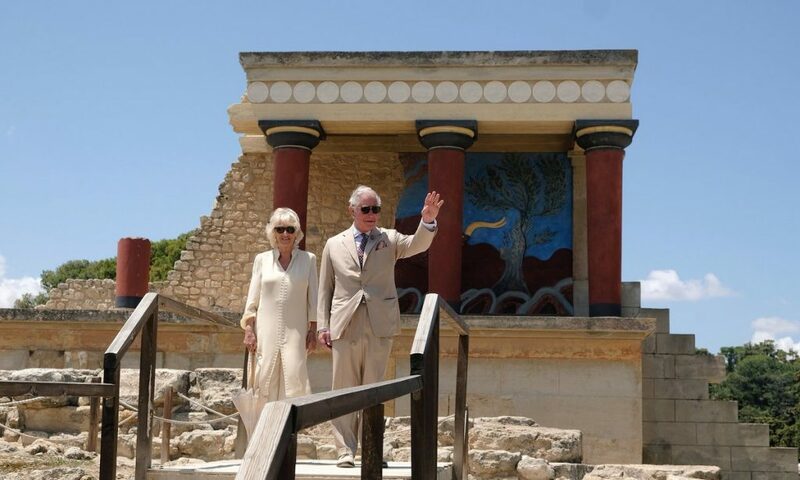 The village of Archanes was the last place the Prince of Wales and the Duchess of Cornwall visited before leaving the island of Crete, concluding their 3-day official visit to Greece. 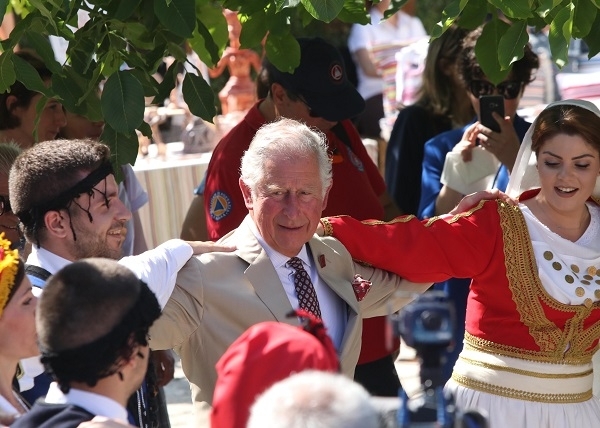 Locals had already started with a slow Pentozali, the traditional Cretan dance, when Prince Charles and his wife, Camilla, approached and joined the dancers in traditional costumes. 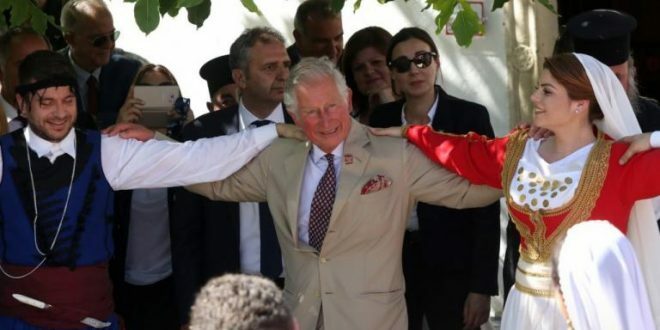 The Prince and the Duchess had obviously learned the dance steps back home, in private lessons in the Palace. 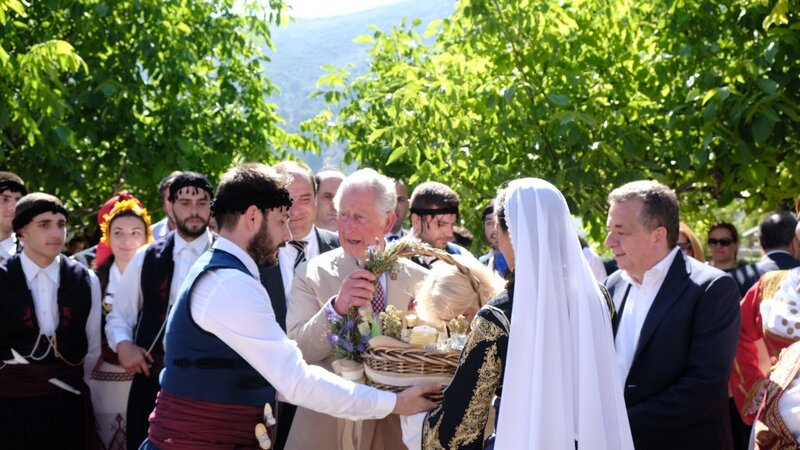 Synteknos – companion in Cretan dialect – Charles danced well four minutes long. Authorities, dignitaries and locals applauded, some cheered “Bravo!” and everybody was happy. 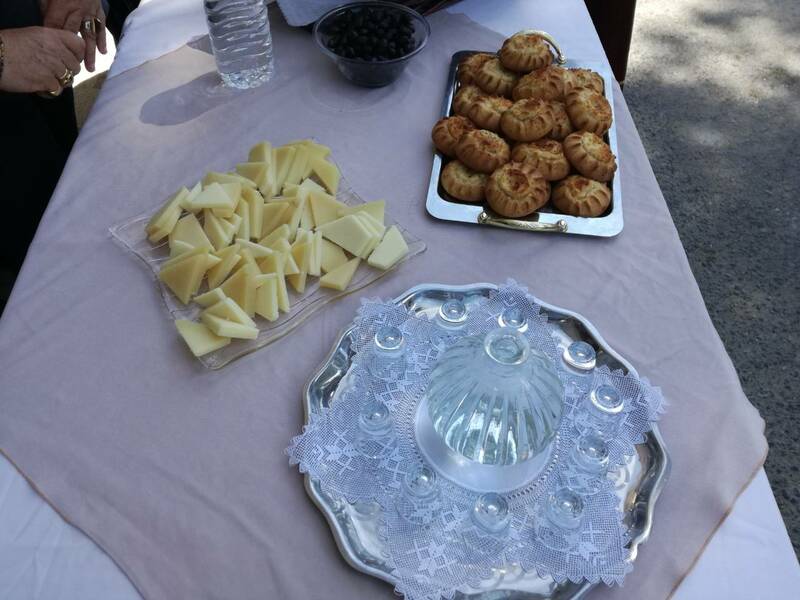 Upon arrival at the village they tasted local delicacies like local clear distilled tsikoudia, wine, raisins, olive oil, sausages and aromatic cheese that were nicely arranged on tables awaiting for the royal palates. They strolled through the village streets, shook hands and talked to locals. 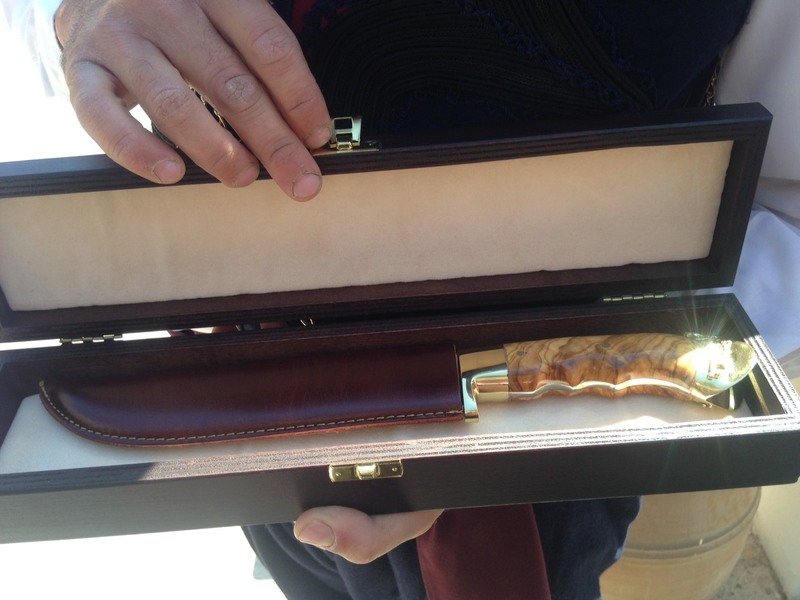 …a Cretan knife and a gift basket with Cretan products. 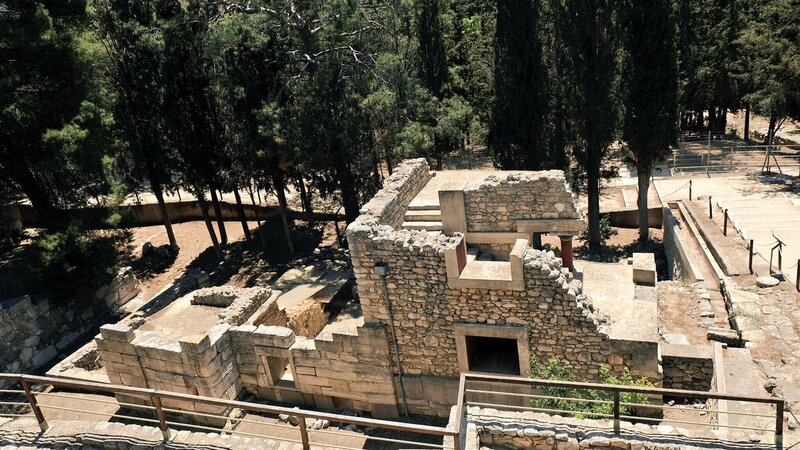 The program for the visit to Crete included a tour through the archaeological site of Knossos, which remained open to public despite the high visit and the security measures. 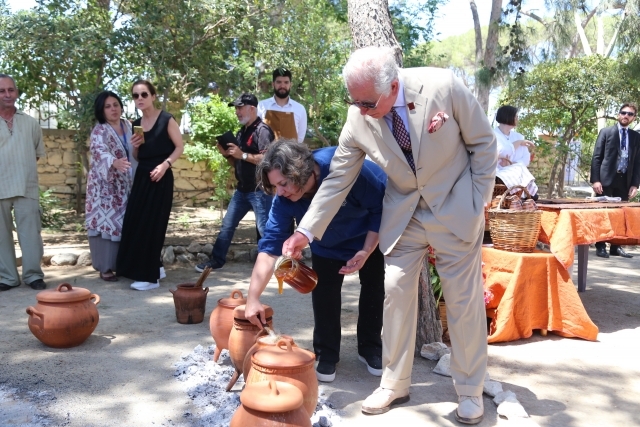 He helped a little bit by adding honey to a pot with lentils but he did not taste any of the Minoan dishes which were mainly chicken, pork and lambs with several fruits. 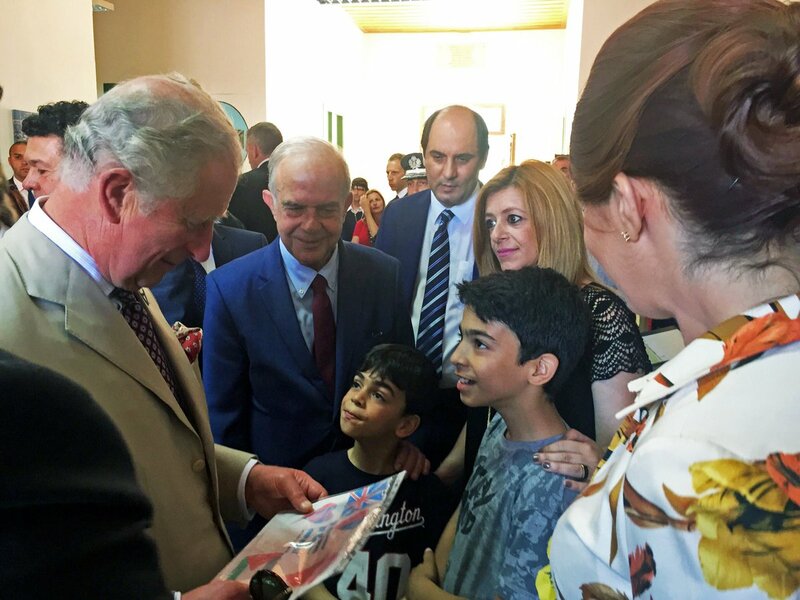 In Irakleio, the Prince of Wales visited the UNHCR’s Heraklion Development Agency (HDA) which offers shelter to more than 700 refugees. 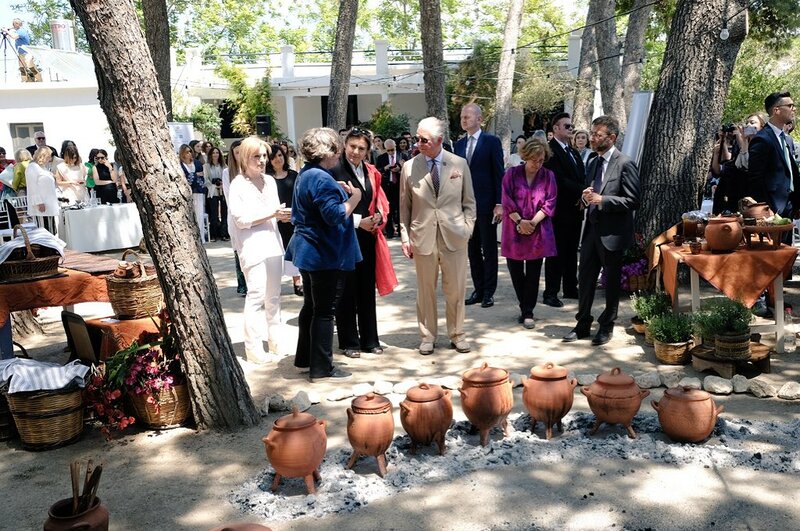 The Duchess had visited a local winery. 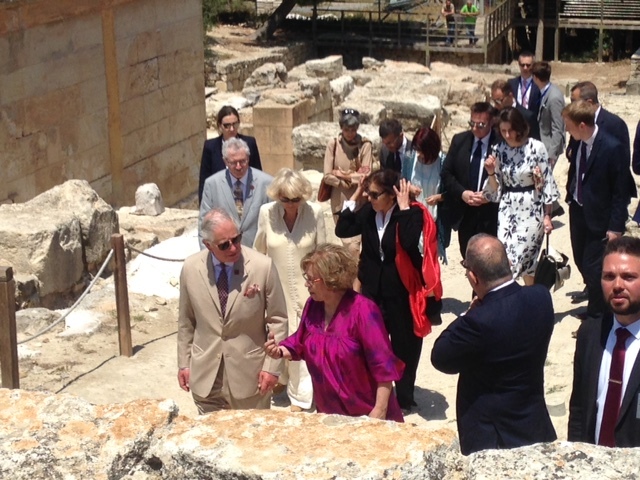 After the feast in Archanes, the royal couple left the island on a private plane. 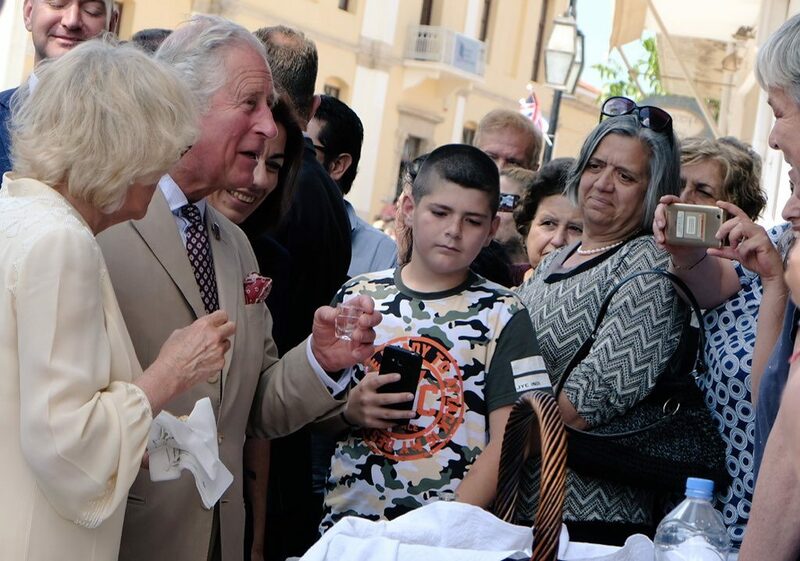 All in all, Prince Charles and the Duchess of Cornwall were charmed by the locals and their hospitality in Crete and Athens, the Greeks, incl the left-wing government, were charmed by the British royal couple. 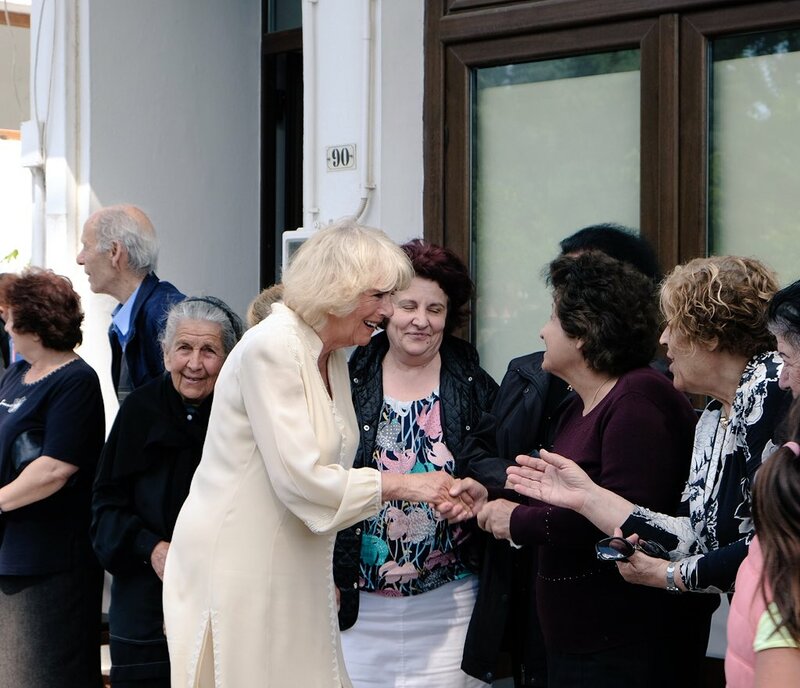 Some Greeks were surprised about the relaxed, no snobbish at all behavior of the royal couple, and some about the healthy appetite of Prince Charles and Duchess Camilla. Simply said: All sides were Amused! picture sources: Clarence House, UNHCR, zarpanews, cretapost, ekriti. 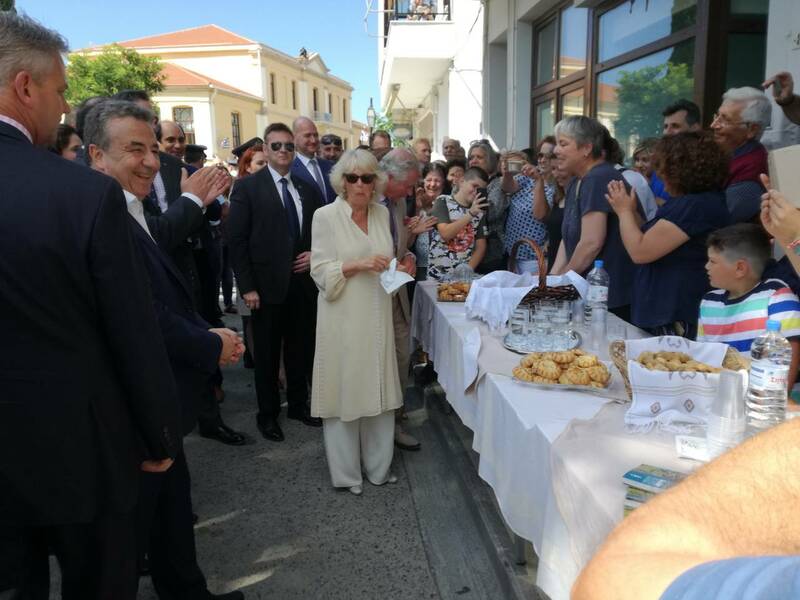 Then ixsere kanis na pezi ena oreo tsifteteli ?? ?